For a band whose biggest influence is supposedly Bruce Springsteen, it’s no surprise that DMA’s sound a lot closer to Oasis, so much so that it’s naturally divided the Gallagher brothers’ own opinions on them. That in itself isn’t where the discussion stems from – scores of throwaway indie bands clearly trying to replicate the Britpop style emerge virtually on a daily basis – but the fact that the trio are actually from Australia, which seems to have served as a way to vault over any prospective competition by being the single factor needed to just marginally stand out. In any case, their 2016 debut Hills End hasn’t exactly survived the test of time (just like most indie from that period), and going off For Now, it looks like that’ll have similar results in the end. Once again, DMA’s co-opt airy, spacious Britpop almost wholesale for a sound that’s pleasant and goes down easily, but feels so flat and ephemeral, just like so many of the bands the sound can be originally attributed to. It does become tough to differentiate between these tracks shockingly early on; there are no key features to speak of, and while their atmosphere is undoubtedly nice, it rarely crosses any sort of boundary to be formed into decent songs. It’s defi noticeable when it does, like bigger, more opulent swell of Dawning, or The End which blurs over a Killers-style strut, but beyond that, For Now just seems to come and go without a trace. And when an album like this is so indebted to such a specific era, it becomes difficult to view it as an independent entity away from those influences. The likes of the title track and Break Me are clearly aiming for a Smiths-esque roil, but even with the abundance of issues that plague The Smiths’ music, they can do it better. The same applies to Johnny Took’s vocals too, with a hazy, nasal whine that’s more that slightly indebted to Liam Gallagher, but couple the blatant hero worship with a naturally thin and underdeveloped tone, and For Now as a whole begins to feel like a patchwork of ideas that haven’t aged well to start with, rather than anything to progress the musical conversation in a comprehensive manner. And sure, there’s bound to be an audience for what DMA’s are doing, but even in the diminishing circles of Britpop, there are better acts out there to choose from than this, especially going back to the genre’s heyday. DMA’s are the music equivalent of certain publications who just can’t let go and let certain areas of the past die, instead resorting to strip-mining every last drop of inspiration until it desperately begins to run its course. Even though there have been worse albums in this vein, and as a purely atmospheric experience For Now can just about suffice, this still isn’t anything worth poring over for any significant length of time. It’d be more worthwhile just listening to old Oasis albums again. 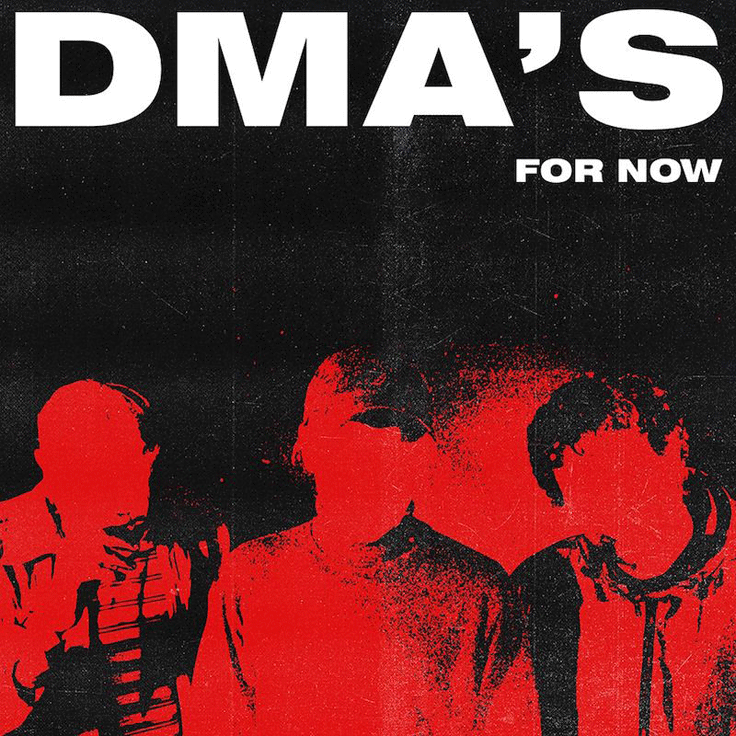 ‘For Now’ by DMA’s is released on 27th April on BMG Rights Management.